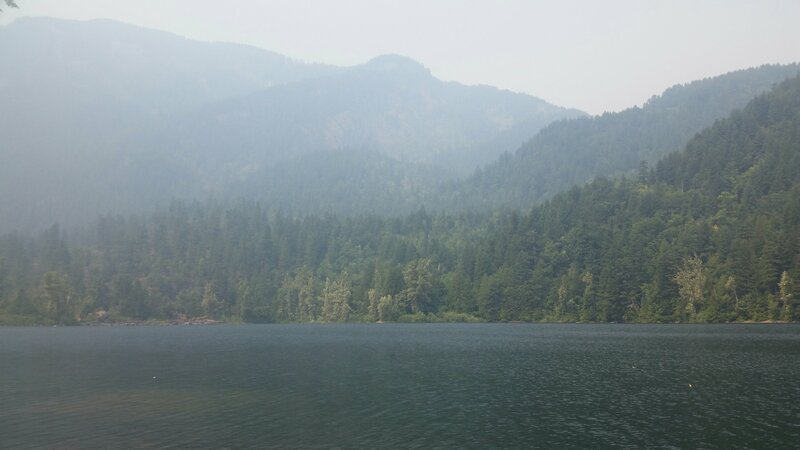 We left Vancouver in a haze of smoke; an appropriate reminder for us city folk of the trial facing the rest of the province. 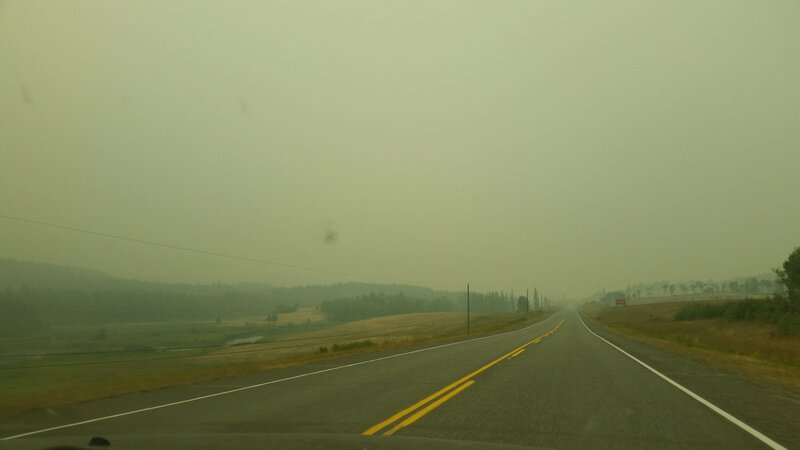 Driving north I expected the smoke to get thicker before it got thinner. 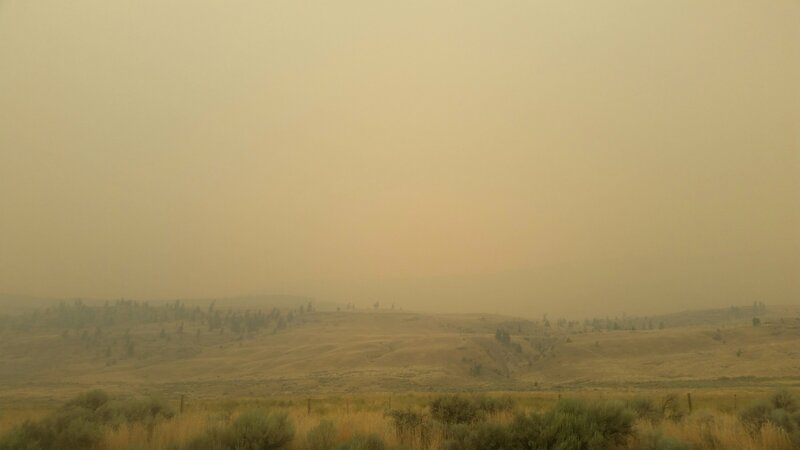 Just north of Hope, the smoke had an almost misty quality. Swimming in the lake it is possible to forget for a moment that the mountains are shrouded. The destruction of homes in Ashcroft was a striking. In some cases there would be nothing left but concrete footings and an charred appliance surrounded by lightly burned grass. In others the vinyl siding was curled off the walls with no other damage. Between the two may lie a house that seemed untouched. A well watered lawn, in a few instances, appeared to have made the difference. The photo above shows how affected even the unburned areas are. The impacts on life in this community are not at all over. 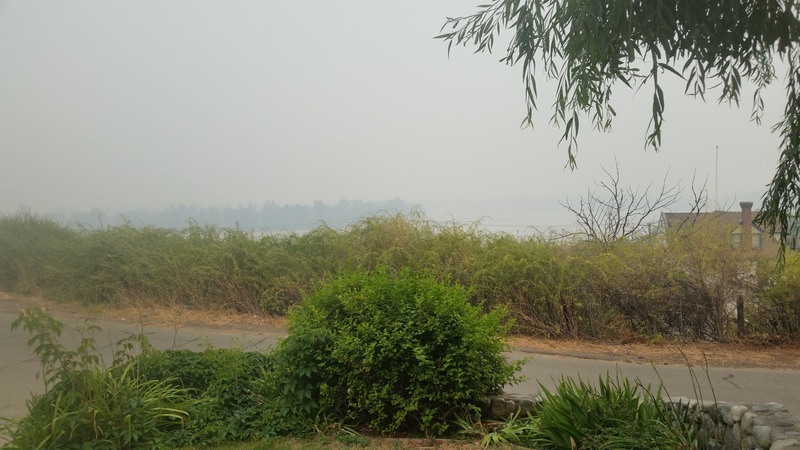 This is the view from mum’s home in Kamloops. Generally the town is fairing well. Mum and my niece, Elizabeth, each had developed a bit of a cough that is likely attributable to the weeks of ash laden air. The car was sprinkled with white particles by morning. We skipped all of our planned hikes, walks, and anything that might make our breathing quicker or deeper. Climbing the hill out of Little Fort saw some minor improvements as we gained altitude. The views were not at all what I am used to in these parts. 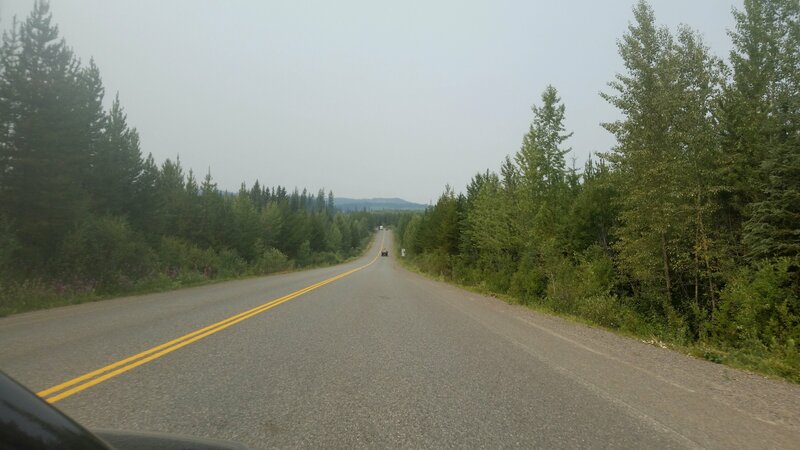 Steven and I once lost the box liner from a pickup truck on this stretch of road between Hunnermile and Williams Lake. No hope of finding it today. Near Quesnel the air finally cleared. 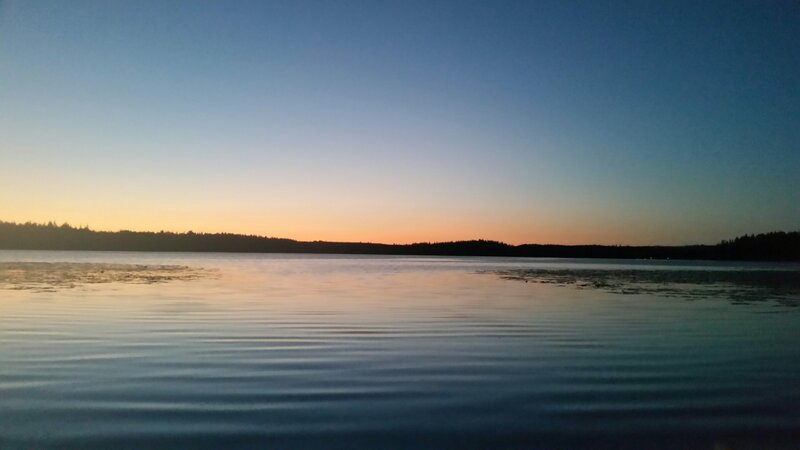 We camped for the night at Ten Mile Lake Provincial Park. The clean air triggered some full magnitude in-and-exhales. The stars and moon were beautiful and sleep was sound. This entry was posted in Adventures, Photos. Bookmark the permalink.